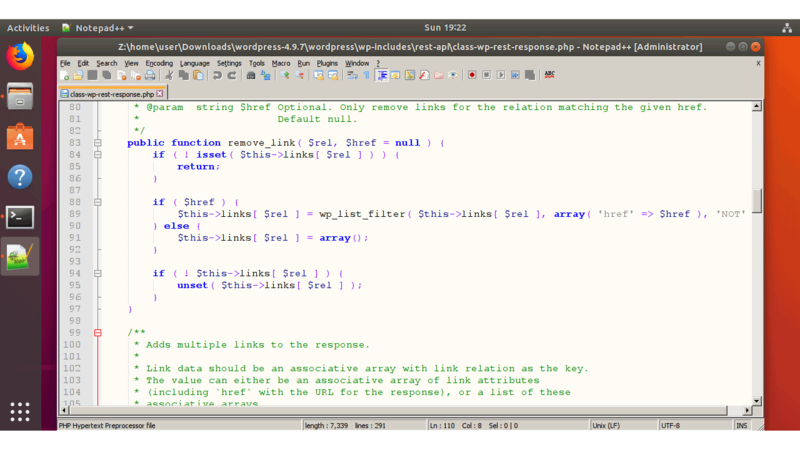 Notepad++ is one of the easy to use and powerful text editor that works well for code editing. But, if you go to the website notepad-plus-plus.org, it is only available for windows. No installer for Ubuntu 18 or any other Linux distribution. But don't worry, we can still install notepad++ on Ubuntu, very easily. And that' all you have to do, You can find the desktop launcher in the Ubuntu application menu. Ubuntu notepad plus plus editor will be automatically upgraded when a new version is available, But you and also run update manually with snap refresh command. In the old days, to install notepad++ on Ubuntu, First we had to install wine, then download the notepad++ and install it on the top of the wine. But now we have snap package manager and the latest version of notepad++ for Ubuntu available from the snap package manager.